Oscar winning animator Nick Park is best loved for his Wallace and Gromit creations - but he also helped Sledgehammer star Peter Gabriel to nail his career. Nick, who honed his skills at Sheffield City Polytechnic, now Sheffield Hallam University, was one of the animators on the icon music video. With it’s jerky breakthrough animation, featuring fruit, fish and even a steam train moving around Gabriel’s face, Sledgehammer is sill the most played music video in the history of MTV. Gabriel will perform the song live and other tracks from his iconic 1986 So album, which he will ply in full, plus other hits, when he brings his Back To Front tour to Sheffield Motorpoint Arena on Sunday, November 30. 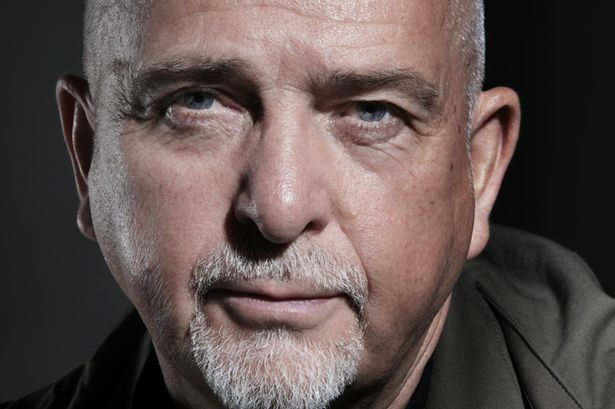 AUDIO: Listen to Graham Walker’s exclusive chat with Peter Gabriel, talking about his Back To Front tour, working with Kate Bush and making that amazing music video for Sledgehammer - CLICK HERE. VIDEO: Press the play button to watch Peter Gabriel talking about the So tour. Sledgehammer won a record nine MTV Awards and Best British Video at the 1987 Brit Awards. Park provided a dance scene involving two oven-ready, headless and featherless chickens, animated using stop-motion and shown dancing along to a flute solo in the middle. It was a welcome break for Gabriel, during the two week filming, which saw him lay under a sheet of glass for 16 hours, while filming the video one frame at a time. The Stephen R Johnson directed music video was four years before Park, of Aardman Animations, went on to give the world Wallace and Gromit in A Grand Day Out. But his talent was evident. In an exclusive chat - hear it all online - he recalls: “Nick Park did the dancing chickens. He is a very quiet, unassuming guy, but you could tell - his particular area of the animation, he had an obsessive nature capable of delivering great things. So that was quiet evident. “He would go off into his corner and do the mixing. “It’s been wonderful then to see him in later years pick up so many Oscars. “Making the video was quite a painful process for me. We had two days, a fruit session and fish stage - then another, where clouds were painted frame by frame, moving across my skin. So my skin was like sandpaper at the end of it. Sledgehammer reached number four in the UK singles chart, drawing as his highest ever entry with Games Without Frontiers. But in the USA it knocked Invisible Touch off the number one spot, by his old band Genesis. He laughed: “There’s always a little family rivalry. It was a strange thing. You’d wait three years to put your record out, then find they had one coming out the same week. On tour he may play 1978 hit Games Without Frontiers. But it is a celebration of So, which spawned four other hit singles, including three huge UK chart hits with Don’t Give Up, the duet with Kate Bush and Big Time, plus In Your Eyes and Red Rain. He says Kate Bush, who recently made a live shows comeback, used to steady her nerves with a brandy during their recording of Don’t Give Up, a ballad, about the devastation of unemployment.